Discover how the luxury women’s wear brand Aviraté is redefining 'dress wearing' in today's world of fashion. 'Aviraté' which in Sanskrit means "the pure essence of sensuality", is often interpreted in different ways based on the context one views it from. In this article, sensuality is viewed through the consumer's sense of style. To define sensuality in the manner that it represents Aviraté as a brand, one can draw a parallel between the Aviraté dress and Riedel Sommeliers' revolutionary wine glass. 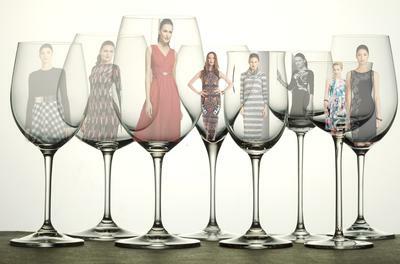 Riedel's glassware was designed to enhance different types of wine and is used as a benchmark for wine glasses worldwide. In an interesting article by Riedel, he explains the science behind his glasses, how the shape of a glass can alter the perception of a wine, how his glasses direct the wine directly onto the tongue and how the bowl captures the wine’s aromas. The carefully designed Aviraté dress is comparably similar. complemented by a unique glass, Aviraté renders a dress that flatters every body type for every possible occasion from dawn to dusk. Just as Mike Kruzeniski, design lead at Twitter and a former creative director at Microsoft, states that it is the 'emotional requirement of the product that becomes the soul of any product', at Aviraté the soul of the product comes from its a set of attributes bundled with its emotional appeal caused due to its “fit", which distinguishes just an average dress from a well-designed piece of art. To pose an example, while selecting a wine glass, the rule of thumb is to go for a tulip-shaped bowl—the wider, the better. In choosing a dress one may pick 'the wrap', as it is universally the most flattering and fits most occasions. As a fine wine drinker considers investing in a set of good red and white wine glasses, a lady most definitely occupies her wardrobe with a variety of clothing to choose from, for when occasion demands. We often come across customers who, highly experimental by nature, opt for "fast fashion" brands as opposed to our comparatively high price tags. We propose that though those brands certainly look good, like the tasty fast-food you grab in a hurry, they still are a huge compromise against the ultimate fine dining experience. Coco Chanel couldn't have been more right in stating that fashions fade, whereas style is eternal. After all, a lady must be two things; classy and fabulous. And Aviraté makes her both. Just as Mike Kruzeniski, design lead at Twitter and a former creative director at Microsoft, states that it is the 'emotional requirement of the product that becomes the soul of any product', at Aviraté the soul of the product comes from its a set of attributes bundled with its emotional appeal caused due to its "fit", which distinguishes just an average dress from a well-designed piece of art.